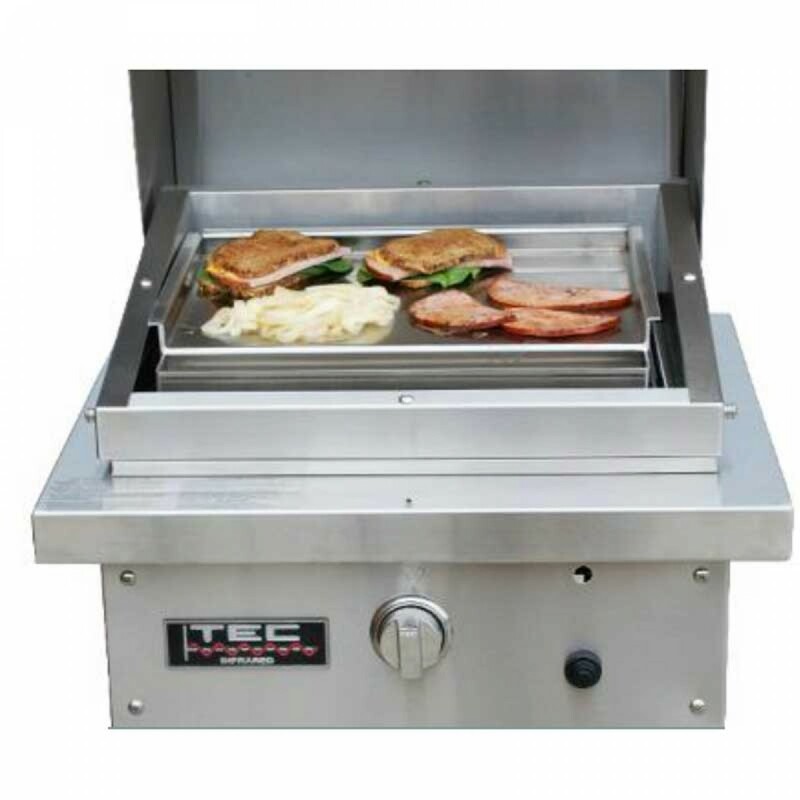 TEC's restaurant style griddle topper is patterned after their commercial flat-top, with a grease trough built-in to the front of the griddle. It is designed to fit directly on the grates of your grill but provides a space between the grates and the cooking surface to allow the griddle to be heated evenly for cooking. Manufactured of heavy duty 14 gauge stainless steel, the sheer weight of this appliance, 14 pounds, keeps temperatures steady and consistent.